If you're looking for an affordable, elegant and uniquely personal place to stay while visiting Boise, Idaho, the Harrison Hotel is just what you're looking for. Part of a style of hotel known as "boutique hotels," the Harrison Hotel continues to renovate its interior while debuting an elegant, easy-to-use new website. If you're looking for an affordable, elegant and uniquely personal place to stay while visiting Boise, Idaho, the Harrison Hotel is just what you're looking for. Part of a style of hotel known as "Boutique Hotels," the Harrison Hotel continues to renovate its interior while debuting an elegant, easy-to-use new website. This new website compliments the hotel's already-robust list of client services with user-friendly online reservations, a visitor's guide, and an excellent resource for "foodies" which will help the hotel's guests pick the best Boise Restaurants to enjoy during their visit. For guests who are new to Boise, or perhaps have a little extra time between business meetings and the official business of the day, The Harrison Hotel's website offers an extensive visitor's guide. This section of the newly-redesigned website highlight's Boise's rich historical community, providing directions and contact information to such attractions as the Basque Museum and Cultural Center, and the Idaho Historical Museum. It also provides the same information for attractions as diverse as the Boise Art Museum and the Idaho State Capitol Building -- sure to please any history buff or art student. After guests enjoy the sights and history of Boise, they will need to enjoy a good meal. And the Harrison Hotel's website offers just what they need to find one: an extensive list of Boise's restaurants, from national chains like Outback Steakhouse to local, diverse eats including Cancun Mexican Restaurant and Goodwood BBQ. Each restaurant's entry on this new part of the website includes an address, a phone number, a glimpse at the restaurant's mane faire, and whether or not they offer room service at the hotel. After seeing the sights and enjoying the area's best food, some might be tempted to nap. However, the Harrison Hotel offers an absolutely gorgeous indoor pool surrounded by well-tended magnolia trees that is sure to distract guests from thoughts of slumber and instead invite them to relax, take a swim, and unwind. 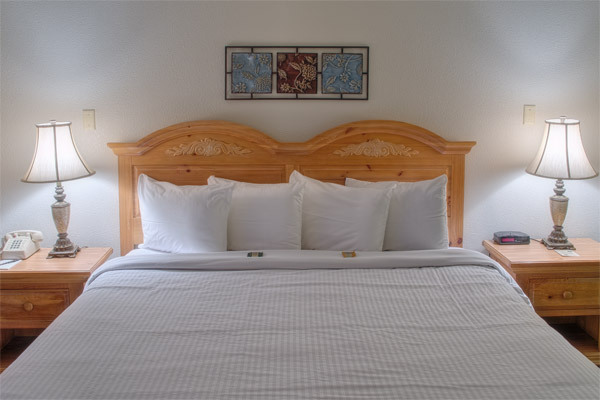 Deciding between hotels in Boise Idaho can be a difficult task, but the Harrison Hotel rises to meet the needs of its clients in groups small and large, personal and strictly-business. Larger groups will be thrilled to learn that the hotel offer special discounted rates for large groups or teams who are travelling through Boise; the hotel's parking lot has ample room for buses, making it a no-brainer for any large group of athletes, tourists, or businessmen. And those who are in Boise for business, who are finding it a bit difficult to choose between many Boise Hotels, will be pleased to learn that the Harrison Hotel is just minutes from Boise's airport. For those new to the city, the hotel offers its business travelers a special concierge service. If the hotel's guests need the kind of answers that aren't included in the new website, they can simply give the concierge a call; they'll be more than happy to assist and provide answers. Choosing between Boise Idaho Hotels can be a daunting task -- everyone is looking for the best bargain, the best amenities, and the most convenience. The Harrison Hotel's newly-redesigned website, with its robust guest services, makes this choice significantly easier. No longer must you worry about the accommodations and the itinerary separately; the Harrison Hotel's website, combined with its concierge service, will do all of the heavy lifting and allow you more time to take care of business, see the sights, and enjoy your stay in Idaho's capital city, as well as its largest. 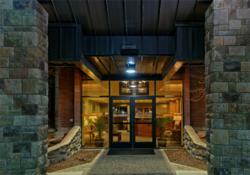 Boise, and the Harrison Hotel, look forward to making you comfortable.